Not too long ago the recently renamed Design and Crafts Council of Ireland announced a year of events celebrating Irish design at home and internationally, entitled Irish Design 2015. There are now various pots of funding available for design events, exhibitions, talks, short films and more. There are some fashion-related deadlines on 31 October while the rest of the calls close on 4 November... until mid next year, when they open again. 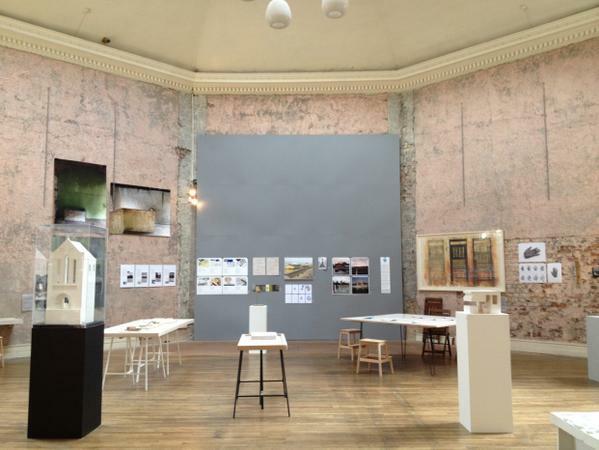 Now in its fifth year, Describing Architecture (pictured above) is an annual juried exhibition of work relating to the built environment that coincides with Open House Dublin. This year's exhibition explores the theme 'Memory and Place' and is held in the amazing surrounds of the Irish Georgian Society's City Assembly Hall. 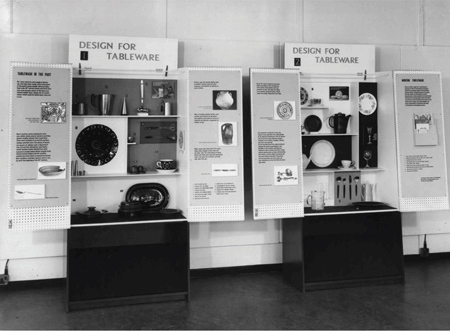 Born in the wake of the Festival of Britain in 1951, the Experiment in Design Appreciation was a project by the Council of Industrial Design and London education authorities to educate people about 'good design' by circulating thousands of designed objects through London schools. Now part of the collection at Camberwell College of Arts, this exhibition (pictured above) traces the history of the project through some of those objects. Note that Chelsea Space is only open Wednesday to Friday from 11am - 5pm or by appointment. The AOI Illustration Awards show is chance to see work from some of the top illustrators both here in the UK and around the world in the beautiful surroundings of Somerset House. And it's a free exhibition. Winners all round. Opened this summer, the House of Illustration is a cool little (well, compared to its next door neighbour) brick building on Granary Square in King's Cross dedicated to the art of visual storytelling. It's inaugural exhibition exploring the work of legendary illustration Quentin Blake closes soon. To accompany its major free temporary exhibition Disobedient Objects (open until Feb 2015), the V&A has put a range of protest posters on display in one of its first floor galleries. Covering 'votes for women' campaigns of the early 20th century up to more recent 'Occupy' movements, it explores how the poster has contributed to political demonstrations around the world.